It is way too early to be thinking about putting your garden to bed! Weeks of delightful outdoor time enjoying the garden are still ahead. Autumn is a great time to plant. It is an ideal time to fill the gaps in your garden especially in your Fall succession. Nurseries still have plenty of stock often on sale too. Plant until just after Thanksgiving weekend or the first frost date in your zone. In Zone 5, final frost is usually around October 7. With the hot weather of late, it is hard to believe that the first frost could come this early but it is very possible. Fill in the holes with some of my favourite fall-succession gap fillers: Plumbago, Sedum,perennial Mums and Asters, Ornamental Grasses, Coneflowers, Anemone, Rozanne Cranesbills, etc. Our local nurseries still have plenty in great shape. If you want a source to help you make better choices, use the advanced search function of perennials.com. It is an amazing website. Our local nurseries also have a huge offering in flowering and evergreen shrubs and the prices are pretty much fire sale. Think about planting some coral or red-barked dogwoods for their amazing winter colour. Fall is also a great time to plant trees and you can keep planting later than you would plant perennials. Add an evergreen or two for winter colour. You can also take advantage of the sales on smaller, ornamental trees. They provide beautiful colour and have the added advantage of being the world's most beautiful privacy solutions. Sad but true, we need to keep weeding until the ground is frost-covered. Especially with September's late season heat, the weeds have just kept on coming. Unless your plants are really unsightly, stop deadheading. For perennials that do not need to be cut back in the fall, it is great to leave seed heads for the birds to feed on during the lean winter months. Always stop fertilizing by the first week of September. The Kate's Garden crews who are responsible for our Fine Gardening stop fertilizing no later than September 7 so that your plants and shrubs can begin their lovely, slow progression into winter dormancy. If you continue encouraging them to bloom too aggressively, they do not have the time to adequately prepare for winter's chill. 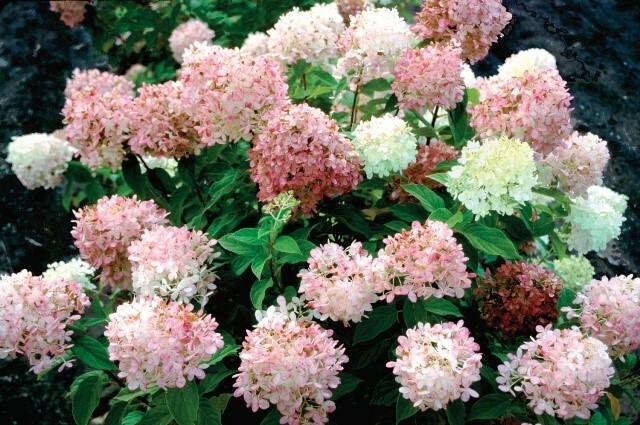 Divide perennials usually sometime between year 3 and 5 of their growth. At Kate's Garden, when we first plant a bed or border, we call it a "baby" garden. The plants are small and their is plenty of mulched space between the plants to allow for the room the plant will eventually need. The mulching is important in years one and two because it helps to suppress weeds. Year Two it is a "teenage" garden; growing and filling up the space. By Year Three, the "adult" garden appears; with limited space between the plants and usually less need for mulch. After year three, it is up to the gardener to decide if the plants start to exceed their allocated space thus necessitating division. Divide plants only after they have finished flowering. September and October are ideal months for division. There is still enough time for the plants to develop new feeder roots before the onset of hard frost. 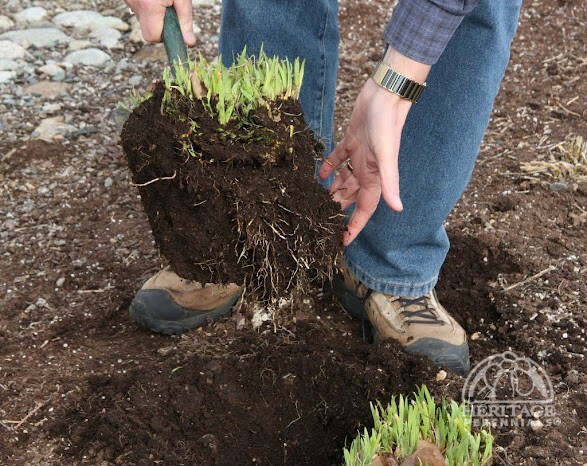 Divide perennials by digging the new hole first. Choose a cool, cloudy day to work if possible. Fill the bottom of the new hole with water. Cut the plant to be divided down to about six to eight inches. After ensuring that it has been thoroughly watered, dig the plant to be divided to beneath the root ball. Watering first ensures that less moisture is lost during the process. Depending on the size of the root ball, pull apart or cut apart with a sharp knife or two pitchforks. Plant at the same level as previous plant. Fill around the plants with good compost and soil. Water thoroughly and continue to water until the new roots take hold. Plant bulbs from late September until hard frost. 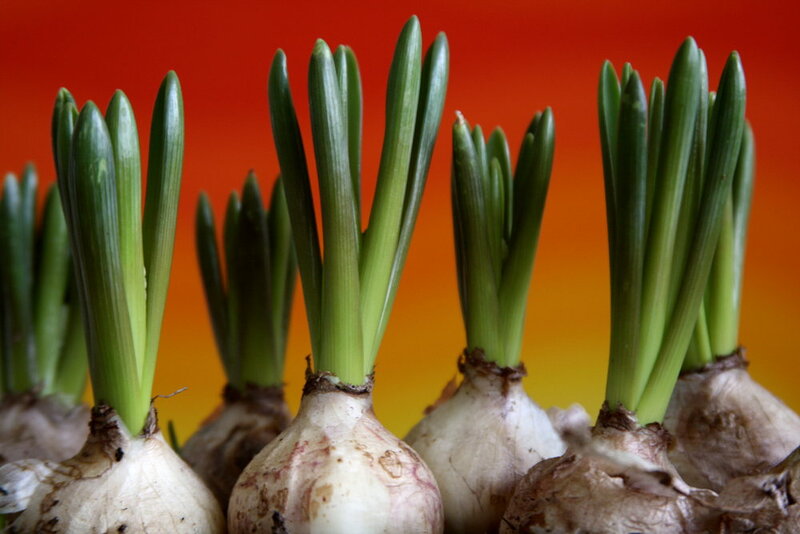 Plant early, mid and late blooming bulbs. Early blooming daffodils like Tete a Tete and Jetfire are no brainers for the garden. Easy to plant and they give such a cheerful show of early colour in the spring. And remember, squirrels hate daffodils, muscari, frittalaria and hyacinth bulbs. They loooove to munch tulips. To avoid transplant shock, autumn is the best time to move Clematis and Honeysuckle Vine to avoid transplant shock. Remove and compost annuals. Intermix layers of plant material with 2 cm. of soil. Remove dead annuals and compost live annuals. Rosemary has to be brought inside before turning on the furnace. Bringing in plants before the furnace is turned on lessens the shock of changing the ambience. Give the plants a thorough shower to get rid of pests. If plants are to be over wintered in the same containers, get rid of the old soil and repot. Experiment with alyssum, geranium, impatiens, nasturtium, pansy, portulaca and verbena. Overwinter them indoors on a sunny window. They will start to look a little ratty by February but begin to perk back up by the end of March. Tender bulbs such as dahlias, cannas or gloriosa lilies need to be stored indoors. Lift the plant before the first hard frost. Prune the stem to a couple of inches from the tuber or corm. Remove soil from the plant. Store upside down for two weeks to allow water to drain from the stem. Dust with sulfur to prevent fungus. Store in burlap (not plastic bags) in a cool, dry area. Discard old gladiola corms and keep the little corms to plant. Geraniums can be brought indoors and grown for years. Lift them out in early October. Prune this year’s stem to three buds from where it grew out from last year’s growth. Place them in a cool, well-lit room for the winter and water conservatively. Prune to an outward facing bud so new shoots won’t grow inward. 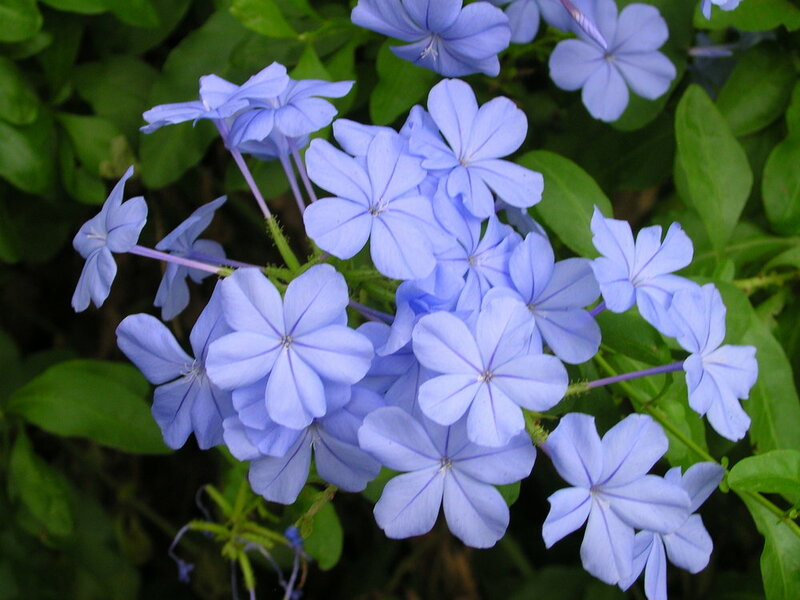 Taking Slips – Use nonflowering shoots found near base of the plant. Remove lower leaves and pot cuttings in a sterile potting mix. Coleus, Fuchsia, Impatiens, Marguerites and tender vines. Cultivated gardens need protection from the wind, frost-and-thaw cycles, heavy ice accumulations and the winter sun. Cover cleaned beds with compost, manure or mulch after the leaves fall. After first freeze is the best time towards the end of October or early November. Mulching before the leaves fall and the soil freezes can cause plants to heave out of the ground during mid-winter thaws. Allow plants to freeze in the soil and then mulch to keep them frozen in the winter. You can use evergreen boughs too. Mulched beds retain soil moisture longer through the winter, and fall-planted perennials are less likely to heave if they have a layer of mulch. Rake away oak and maple leaves as they mat when they are soggy and smother everything underneath. Rake fallen leaves from beds; compost leaves or shred and use as a mulch where desired. Use leaves or mulch to provide insulation for your beds and borders? Leaves leave great nutrients for all plants, protection against freeze-thaw and break down into great organic matter: humus. Leaves are great for the earthworms which are so important to healthy soil but they also provide refuge for slugs and mice, which will munch away on your plants. The Perennial Plant Association recommends routine mulching of established plantings each fall as good insurance against winter injury. In the spring, leave mulch and winter protection in place until three weeks after the last frost. Fall is a great time to amend the soil with manure or mushroom compost. Great time to test your soil for loam quality and pH level too! If you must, cut back no shorter than four inches. The short stubble helps hold insulating snow on plant crowns. It also helps mark location of plants next spring. Fall is the time to cut back peonies (not tree peonies) to soil level. If peonies need to be divided, do so very late summer. Leave as many full stalks as you can, as seed heads are great for the birds in winter. Examples: ornamental grasses, rudbeckia, purple coneflowers, sedums, clematis. They also make beautiful winter displays. Cut back any mushy looking perennials…mums, hostas, etc. Stop fertilizing your roses by the beginning of September. Let the last blooms go to rosehips, signaling the beginning of dormancy to the plants. This causes the canes to harden and develop frost resistance. Stop deadheading in September. Remove any leaves infected by black spot or mildew. On established roses wait until very late fall or spring before pruning. Cut back the canes next spring. To protect roses from winter freeze and thaw, mound soil about the base to protect the rootstock. Hill up dirt around the bud union of roses. Prune roses to a manageable size. Secure climbing rose canes to arbours, obelisks or trellises. Secure canes of climbing roses to avoid cane rock. Hill up teas, grandifloras and floribunda roses with topsoil or compost to protect the bud union, which is only an inch or two below the soil. Use bagged topsoil or triple mix to mound over the crown of the plant in a hill about 12 inches high and as wide at the bottom. In spring, after the soil has drained, spread the soil over the bed. Leave most shrubs unwrapped. Wrapping too tightly in burlap or other materials cuts off air, compresses the limb structure and traps snow and ice against the plant. If you must protect, protect loosely! Gently tie tall cedars and upright junipers with twine to prevent heavy snow from splaying out and breaking branches. The operative phrase is not tightly. Remove the twine next spring when the night temperatures are consistently above freezing. Burlap will reduce wind and salt burn from broadleaf evergreens like Rhododendron and Mahonia. Set up wooden stakes and staple burlap to the upright stakes. Up to early October, feed the lawn with an organic or commercial fertilizer low in nitrogen (first number) and low (last number) in potassium. Water the lawn well before it goes dormant. Be ready next April to aerate, dethatch, weed, feed and seed your lawn. Using an approach of intense lawn care in April and September/October will make a huge difference to how your lawn performs. Before the first predicted hard frost, heavily water plants especially shrubs, deciduous trees and evergreens, rhodos, perennials and roses. Let them take up as much water as possible. This will substantially enhance the plant’s ability to stand the drying winds of winter. Our Kate's Garden teams put Gardens to Bed in late October and November. Climate change has made final leaf drop later and later. We find ourselves doing the final rake mid to late November. Then, of course, it is time to create our famous Winter Pots which provide colour from November until spring comes calling again.